“To Vote or Not To Vote” that is the question. For many people the general state of confusion generated by both sides of the argument could well result in a low poll turnout since this is going to be a very difficult decision for all but the already totally committed “Leavers” or “Stayers”. As stated elsewhere on this website, my take on the theme of Be Your Own Boss is broader than just working for yourself or starting a business. Freedom of choice in how we live our lives is a fundamental issue for those attracted to the independence of not having a boss but rather being the boss! 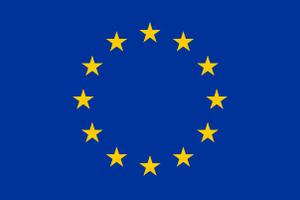 Many of the auguments for or against remaining in the EU focus on economics and trade, on the potential effects on public services or on the security of the UK. But the wider issue driving most of the “leavers” is the issue of Freedom and Independence. There is an inbred resistance in the British psyche to being told what we can or cannot do, and more so against being told what we must do. As a nation we have fought to retain our independence for almost a thousand years, not only against external aggressors but even internally. Magna Carta and the Scottish independence referendum are topical examples but we can look to the War of the Roses and the English Civil War as other examples. With the coming Referendum we have the opportunity to have our say on this issue, I believe that not voting at all is not an option as it puts our future in the hands of others. So the next question is Stay or Leave. Stay in the EU or leave and make our own way in the world. There is growing pressure to Stay coming from not only our own Government, but from many outsiders. Pressure from other EU countries, pressure from the EU organisation, pressure even from America, an ally who every year celebrates its own independence! There is also growing pressure from large multi-national companies, from some business organisations and from major banks. Are they acting in our interests or their own? Then we have the “Leavers”, the people who have campaigned on this issue for years. Their over-riding message is about freedom and independence. They point to excessive regulation from the EU, interference in our way of life and our ways of doing business. But are they right? Is leaving in our interests or theirs? In order to help make up our minds we, the people, have been asking for hard facts on which to base a decision. Instead we have been given conflicting assumptions, official guesswork, selective statistics. The same statements repeated over and over in the hope that repetition will result in belief. It appears there are NO FACTS! Just suppositions and wishfull thinking. So why is there so much confusion and disagreement? The answer is that we don’t know and cannot know what will be the result of either remaining in the EU of of leaving and following our own course. As far as I’m aware Nostradamos, that famed futureologist, is silent on the subject of this Referendum. Predicting the future is a very inexact science, but that is what we are being asked to do in order to make our choice. The Remain team say “We know what staying in looks like, because we have been in for years”. Not true! Many things have changed in the EU since we joined the “Common Market”. What we do know is that many more things will change within the EU. Some we already know about, like more countries joining, but the future is otherwise unpredictable. Will the EU prosper? Or will it crumble? In its present state it’s hard to tell. The Leave team say “We will be better off outside as we will have the whole world to trade with, we will be free of the shackles of an unelected EU bureaucracy and be free to follow our own destiny”. Maybe! But will that road be a successful one? Who can tell? One side says we will be better off out, the other says we will be better off in. Both are simply making predictions, otherwise known as guessing, or even gambling. The die is cast, the referendum looms. All we can do is consider our own individual position and vote the way we truly feel. If we vote confidently with a sense of purpose then, whatever the outcome we will know we voted our way. But if we vote due to fear for the future then the future we fear may just come about. If we are wrong we may regret being fearful. Change brings problems for the fearful and opportunities for the fearless. As individuals we can choose to embrace change. Whatever that change is, we can solve its problems and take its gifts. Or we can be a victim of change it’s our choice. I have made my decision! Which way will you vote? A Business Partnership can have unlimited or limited liability. A normal partnership has unlimited liability but a Limited Liability Partnership (LLP) has similar advantages to a Limited Company. As such it needs to be registered at Companies House. The business and the partners have ‘Joint and Several’ liability which is unlimited. This means that, any losses or other liabilities fall first on the business, then on the partners according to their share of the business, then fully on each individual partner. This means that any single partner could end up carrying all liabilities personally if the business and the other partners are unable to pay their share. The last of these is quite a frightening prospect. It is for this reason that the Limited Liability Partnership form of business was created. It is a much safer option for the individual partner than operating as a ‘regular’ partnership. In either case you should have a partnership agreement drawn up by a business lawyer as well as taking full financial and legal advice from qualified professionals. There are two types of limited liability company in UK. Private Companies are designated as Ltd or Limited, Public Companies are designated as Plc. I shall just deal with Private Limited Companies in this article as they are the most appropriate for small businesses. The main point of a limited company is to give personal protection against company liabilities. As long as you comply with the relevant regulations, you will not be personally liable for the debts or other liabilities of your business. It is therefore a more appropriate business structure for any business that might face high risks in business. There are also tax advantages in operating as a limited company once your business profits exceed the personal higher tax threshold. It may also be possible to get more favourable tax treatment for pension contributions, though this is a complex area needing specialist advice. Another advantage to a limited company is that it is easier to build up a company as a tangible asset which you can sell in the future, perhaps to retire. This is because it is structured as a separate legal entitity and not entangled with your personal assets in the same way as a sole trader business. The Companies Act separates out the owners of the company from the managers of the business. The owners of the business are the shareholders, of which there must be at least one. The shareholders’ liabilities are limited to the amount of money they have put into the business as a shareholding. The managers of the business are the directors, of which there must be at least one. The directors are responsible for the running of the company and compliance with all regulations. They are also responsible for filing of financial accounts and annual return to Companies House as well as filing a corporation tax return to HMRC. Providing the company is run legally and competently, there should be no liabilities for which the directors are personally responsible. The regulations can be quite complex, so good legal and financial advice should be sought before proceeding. Running a limited company can face more red tape and additional costs than a sole trader business, but the benefits usually outweigh the drawbacks. For more detailed information go to www.companieshouse.gov.uk. If you are working from home, do you need planning permission? You and the business are legally the same. This means that you are personally liable for all the debts and other liabilities of the business to the full extent of your personal assets. 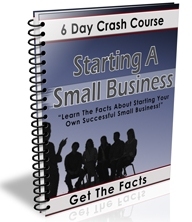 If the business goes bust, you could lose everything. Your business profits are taxed as your personal earnings along with any other earned or investment income you may have. If your profits are high, you will very rapidly become subject to higher rate tax. In addition to tax you will have to pay two types of National Insurance contributions. Class 2 contributions are a fixed weekly amount, Class 4 contributions are a percentage of your profits between a lower and upper limit. You will be given the current rates and necessary information when you register with HMRC. For the reasons above it would be wise to consult an accountant experienced in working with small bsinesses prior to starting out. You can get more information from your local Business Link who will provide you with a business aviser free of charge. Find your local office at www.businesslink.gov.uk. How many of you will there be running the business? What potential risks and liabilities will you face? What are the tax implications of each option? How much bureaucracy (red tape!) are you prepared to face? Do you want to build a business with an assest value? I shall deal with each of these in separate articles to try to keep things as simple as possible! Be Your Own Boss Reborn! Be Your Own Boss has had a long overdue ‘makeover’. It’s been rebuilt using WordPress, a great tool for content managed websites, incorporating some of the latest Web 2.0 features. This makes it much easier to incorporate new content, so now I have no excuse for not adding lots of new information on the subject of starting and running your own business ;-). That should keep me busy! Your email address remains private, it’s just between you and me. Your website will be linked to from your name on the comment. Comments are moderated, if they break the rules, they won’t appear! I hope you like the new site. Join in, learn and have fun!